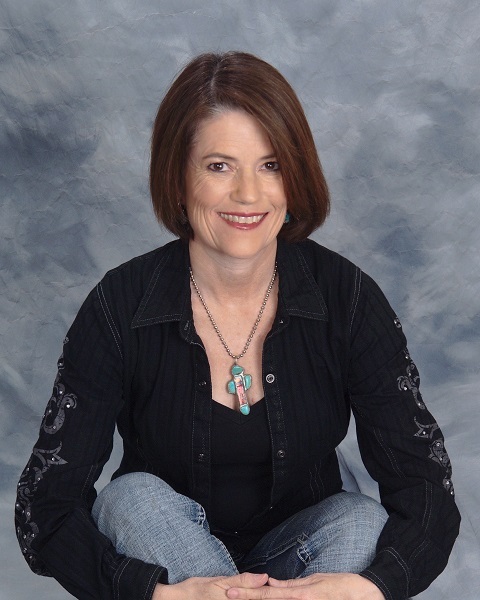 Hello all, this is Kari Lynn Dell, a long time blogger buddy of Carol’s and fellow rancher from Montana. A big thank you to her for turning her blog over to me for a day. 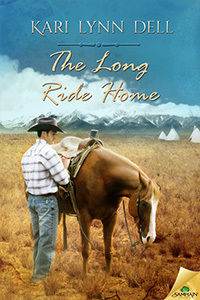 To show my appreciation I’ll be giving away two ebook copies of my new novel The Long Ride Home. See the bottom of the page for details on how to enter the drawing. But first, a little story from up here in the north country. So, yeah, we’re calving. We’ve been calving for weeks. We will continue to calve for more weeks. We actually spread it out like this on purpose, but I won’t bore you with the details. One big reason, though, has to do with our indoor arena. *Drive up to the arena. *Leave the car running while I get out, go through the side door and turn on the big overhead lights. *Stroll down through the arena and look at the cows, most of whom are kicked back in the straw, chewing their cud. They don’t bother to get up when I walk by. *Flip off the lights and drive back to the house with the heater running full blast. Last week, my husband reminded me to carry a flashlight, just in case. Yes, we got new underground power lines installed last summer so the arena lights don’t flicker when the wind blows—in other words, most of the time—but better safe than sorry. He would know. One night a couple years back he was checking the cows, and lo and behold there was a brand new calf. He grabbed it, intending to haul it to one of the back pens, separate from the rest of the herd. Mama was not entirely sold on the wisdom of this plan, and scooted up real close to stick her nose in his ear and express her concerns in a loud voice, which caused several of the other cows to bellow their support. And the lights shorted out. Turns out, when you are inside a large cavernous structure, you don’t even have the moonlight on the snowdrifts to help you spot a black cow. And all of our cows are black. The arena went darker than the inside of an Angus…which was where Greg was going to end up if that mad mama located him because all of the sudden she couldn’t find her kid and she was fixin’ to eat whoever took him. Greg didn’t dare move because he didn’t know exactly which of the bawling cows was Mama Cow. Plus he was still holding onto a slippery, squirming calf. As long as he had junior for a shield he was probably safe. If he let go, Mama might really mow him down. And somewhere out in the void there were those other twenty cows that had gathered around to observe the proceedings. He could hear them, snorting and rustling all around him. He just couldn’t see them. So…let the calf go, try to find the wall and feel his way to the door without running head on into a cow? Stay put and hope eventually his wife woke up and noticed he’d been gone an awful long time and came to his rescue? Pray for a beam of light from above, even if it was an alien spacecraft? He went with option A and managed to escape without bodily damage. Shortly after, he developed an intense preoccupation with carrying a flashlight and checking the batteries frequently. And we’re both thankful none of the Longhorns was in that herd. Then he really would’ve been on the horns of a dilemma. If you enjoyed this story and would like to hear more, plus enter to win an ebook copy of my new novel The Long Ride Home, pop on over to my website and subscribe to my mini-mag, Rock Soup for the Cowboy Soul by midnight on Sunday, March 29th, 2015. David Parsons is on the verge of making his pro rodeo dreams come true when his one-in-a-million rope horse, Muddy, goes missing. In the aftermath, David loses everything. His career, his fiancée´, his pride. Four years later, David is clawing his way out of the ruins and back up the rankings when he gets the miracle he’s prayed for. Muddy has been found on Montana’s Blackfeet Indian Reservation. But repossessing Muddy is unexpectedly complicated. Kylan, the teenager on Muddy’s back, has had a lifetime of hard knocks. His custodial aunt, Mary Steele, will fight like a mama bear to make sure losing this horse isn’t the blow that levels the boy. Even if it’s at David’s expense. David is faced with a soul-wrenching dilemma. Taking back his own future could destroy Kylan’s. And ruin any chance he might have with the fierce, fascinating Mary. It’s a long, hard ride to the top of the rodeo world. And for David, an even longer ride home. Unless he can find a trail that leads to both. Thanks, so much Kari for covering for me while I’m headed to your home state of Montana! If you’re interested in Kari’s book you can follow the links to these book providers. FYI, one called it “blush proof”, just in case you want to buy a copy for your mom… or yourself! Amazon, B&N, Kobo, Samhain. 🙂 Great post! Thank you for contributing!! And thanks for having Longhorns!!! Being a Texan – I love the breed…. What an adventure. Thanks for an interesting post on life across the pond. It’s an interesting sensation, I’ll give you that. It happened to me once, too, but after this incident so I did have a flashlight. Oddly enough, my husband also insisted on getting an electrician out last summer to rewire the indoor arena. Poor guy. If it wasn’t so dangerous, it would be funny. Well, it is funny, now that her made it out safe. Great story. Lots of material for another book too. Thanks for sitting in for Carol.